Did you know that we have a nursery available during the 9:00 and 10:45 Sunday Masses? The St. Paul P.U.P. (Parents Uninterrupted Prayer) Nursery is open for children ages 1-4, no pre-registration required. The newly renovated Nursery Room is located past the restrooms in the same Church building. We are blessed with wonderful Nursery Ministry Team Leaders, all who share their love and dedication in helping our families participate in Mass by taking care of their little ones. For the safety and well-being of your child, the Nursery Ministry is led by diocesan trained (Level II screened, safe environment certified) team leaders and volunteers and most are trained in Infant CPR and First Aid. For more information about the P.U.P. 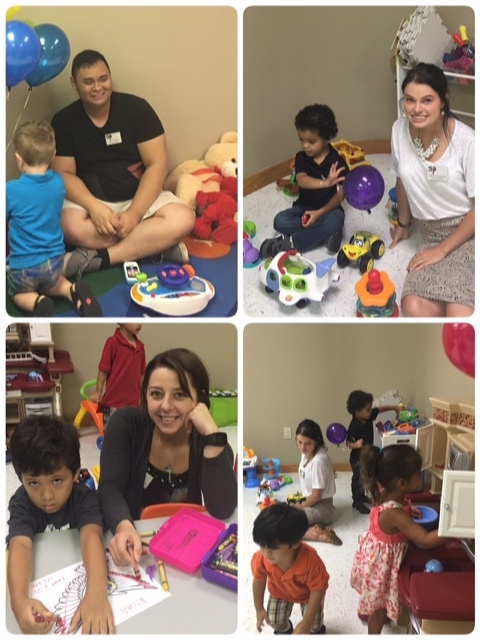 Nursery Ministry, please contact Carmen Cayon at the Parish Office at 813-961-3023 or by email at CCayon@stPaulChurch.com. Teen volunteers are welcome to earn service hours! Please visit and feel free to use our NEW FAMILY ROOM during any of our liturgies. We want you to feel comfortable and always welcome! Located next to the Nursery.